This stunning landscape was captured while on my 18 day Leh trip in July 2014. 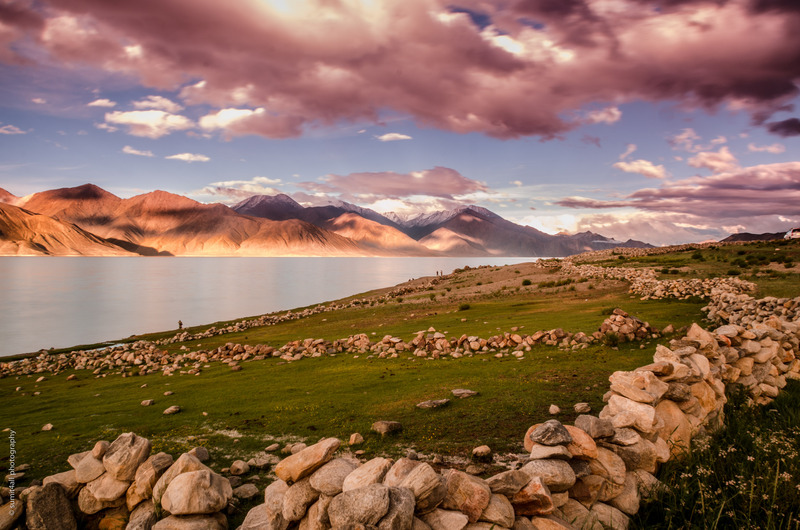 The dry landscape in Ladakh presents many such beautiful vistas, and the Pangong Tso lake is one of the most beautiful places I have ever been in my life. What Next? A Beer, please!